If you have been following the progression of autonomous vehicle development, you’ll understand that one of the greatest difficulties that automakers are facing is: how do we let our cars communicate with other cars, and more importantly, other people. Ford is currently testing a light-based visual language to assist autonomous vehicles with communication between pedestrians. Ford engineers conducted an experiment in which they tested whether colored lights displayed above the windshield of a vehicle could be a proper solution for bridging the communication gap between autonomous vehicles and pedestrians. 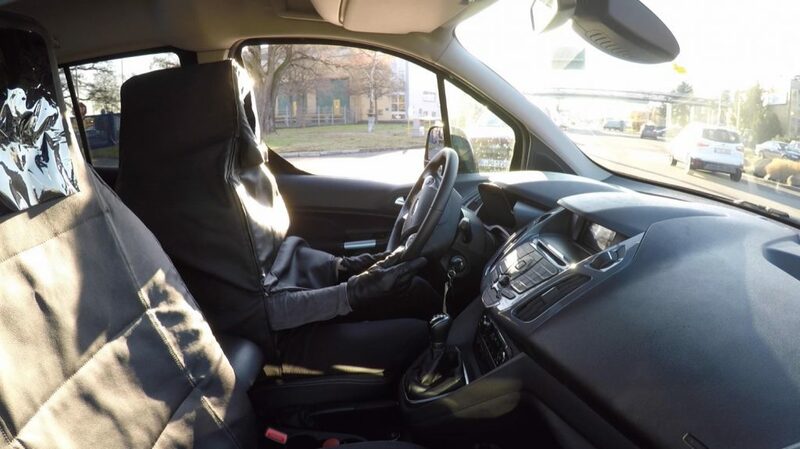 Watch and see a driver concealed within a “Human Car Seat” which helps to mimic realistic situations in which pedestrians need to know what an autonomous vehicle is ‘thinking’. These lights assist in testing methods for enabling pedestrians and cyclists to trust autonomous vehicles, and to know their next move. This experiment was conducted in Germany, and as you will see in the video, it showed a high level of acceptance and trust in the signals. This test is a great start and provides a basis from which researchers can further develop and refine the visual language of autonomous vehicles. Many people that encountered the Transit Connect van with the special light bar believed it to be a real autonomous vehicle. 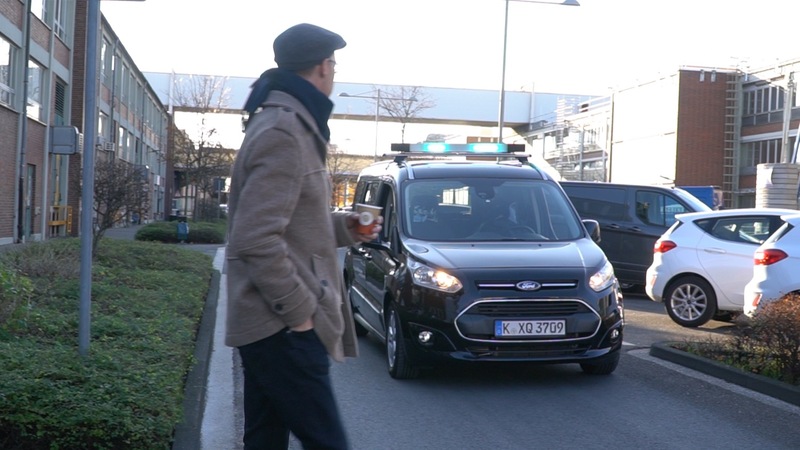 This experiment, in testing with Chemnitz University of Technology, has a bit of a gimmick worked in, sure, but faking out pedestrians was necessary in order to promote a true, human response. The experiment revealed that 60 percent of the 173 people surveyed after encountering the Ford Transit Connect believed that it was an autonomous vehicle. Together with the observed reactions of an additional 1,600 people, turquoise emerged as the color that was preferred by pedestrians. Turquoise is more noticeable than white, and less easily confused with red when compared to purple. “Making eye contact is important–but our study showed that first and foremost road users look to see what a vehicle is doing. The next step is to look at how we might ensure the light signals can be made clearer and more intuitive to everyone,” said Dr. Matthias Beggiato, Department of Psychology, at the university, with which Ford worked on the “InMotion” project, funded with the help of €1 million from the German Ministry of Transport and Digital Infrastructure as part of the Research Program on Automation and Connectivity in Road Transport. Austin is an automotive enthusiast from Buffalo, NY with a passion for speed. When Austin isn't writing about the auto industry you can find him racing go-karts, competing in time attack events, or autocrossing his 2017 Toyota 86—with a manual transmission, of course! So, I guess now we can say they have seen the light so to speak lol.